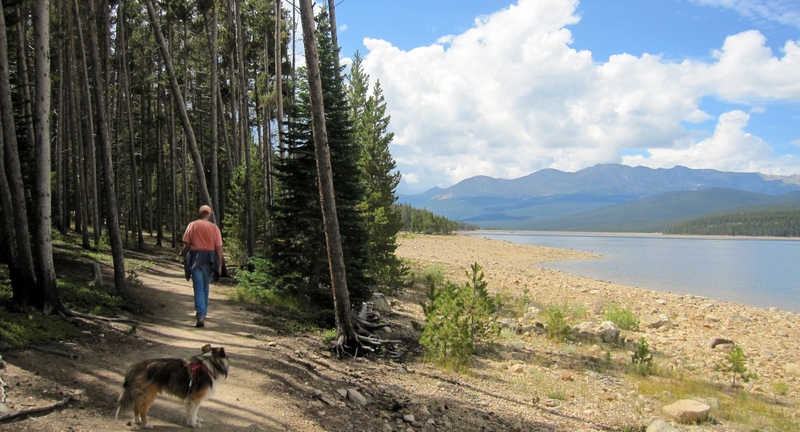 After Wolford Campground Riley and I headed to Leadville, where there were some forest camping spots not too far from the town. Chris took a side trip back to Hot Sulphur Springs for a couple of days, where he had good fishing right next to the campground. I went ahead and scouted out a place for us so we could have a good campsite well before the Labor Day weekend. Arriving on Wednesday, 8/28, the first place I checked was a good spot, so I set up camp. It was just about 4 miles straight west from town off county road 4, very close to Turquoise Lake. Although we didn’t have direct mountain views from our site due to the dense forest, the views were good just down the forest road where I would walk Riley. This next shot includes Mt. Elbert, the highest point in Colorado, at 14,439 feet. 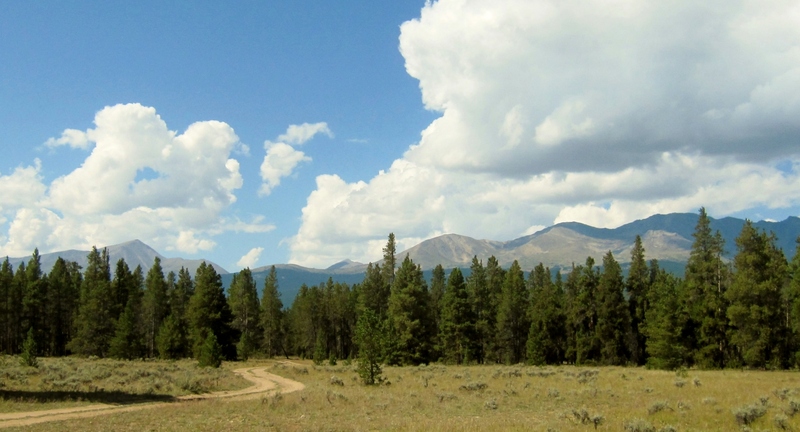 It doesn’t look that high, but Leadville sits at 10,000 feet, so it just looks like an average mountain from there. I hadn’t used the scooter since leaving Denver, since there just wasn’t anyplace worth scooting to in Hot Sulphur Springs or on Rabbit Ears Pass. But, we did unload it in Leadville. I needed to run to the post office a few times for a package of mail my folks had collected/forwarded for me, and for my new license with the motorcycle endorsement. Texas Department of Public Safety would only mail to me out of state. If you give an in-state address (my folks place where my mail goes) they say you must be in TX and should just go to any DPS site and get the license. After going around and around with the guy I had them send it to general delivery in Leadville. Then when it finally came, just after Labor Day, it was wrong. They hadn’t actually put the motorcycle endorsement on it. Figures! So they had to remake/resend it to my next stop in Salida. Fun times. 😦 Anyway, I got to ride the scooter to town a few times, so that was good. We hiked a bit at Turquoise Lake. Hike isn’t really the word, it was more like a stroll. There is a mostly level trail that goes right along the shoreline most of the way around the lake. We did part of it one day, then started mid-way on another day and walked another section. Such a beautiful lake. This was another spot where I couldn’t stop taking pictures. One day I saw a post from Glenn (ToSimplify.net) pop up in my Feeddler and the title was “Leadville”. I had been following his travels for about 3-4 years, since I first started researching RVing. (I was envious that he got to hang near the Grand Canyon with my friends Bob, Randy, CB, Laurie and others on his way east from LA.) So, when I saw he was in town I sent him an email pointing out the great boondocking spot we had, with many great sites right along our forest road in case he needed a hang spot. A few hours later Glenn drove up in his new “Go almost anywhere adventure rig” that he built himself! It was really fun visiting with him for a couple of days in the forest. That rig is so well done, such great design and craftsmanship by Glenn. 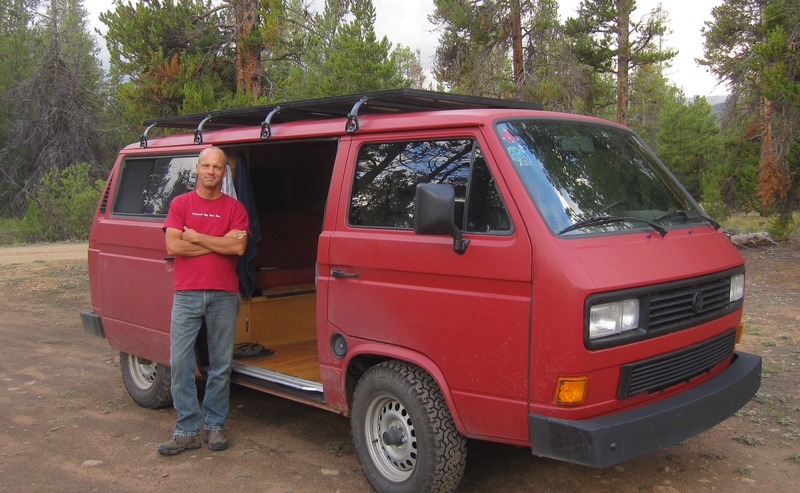 He chronicled the whole process on his blog, so if anyone wants to strip down a VW Vanagon and build a new home on wheels, that’s the place to read all about it. 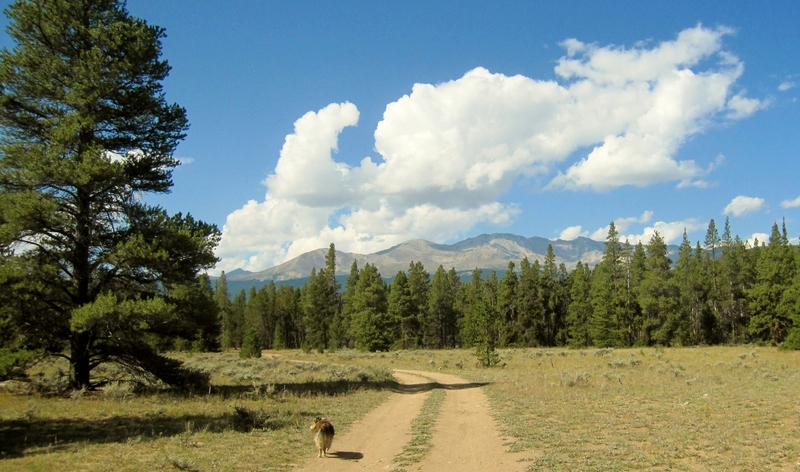 Next we headed for Salida, where we had camped in late June/early July, just before I headed to Denver. We really liked the town and the camping was right on the Arkansas River, where Chris could fish close by. 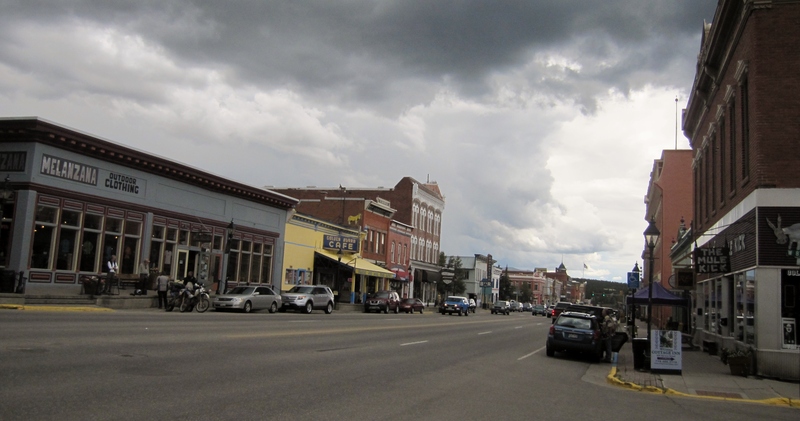 It was quite cloudy/rainy in Leadville, being so close to the mountains. In Salida we figured it would be sunnier – I needed more sun for my solar panel and new batteries. 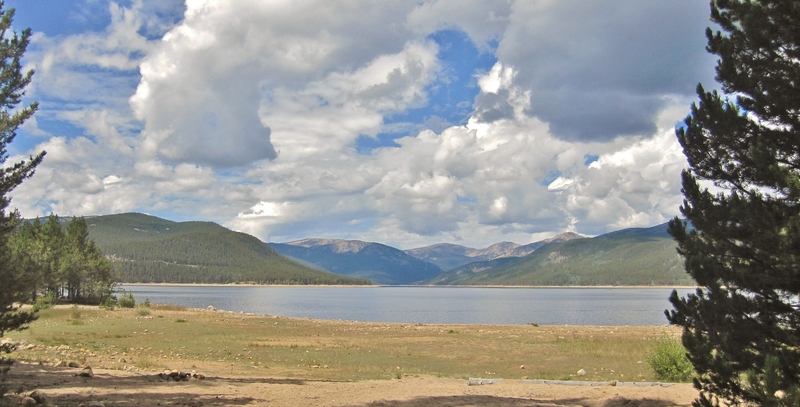 Will select some pics and write about Salida soon.